When her son didn’t arrive home on Friday, Lee’s mother called the school, the bus company, the police, anyone who might have any information on his whereabouts. 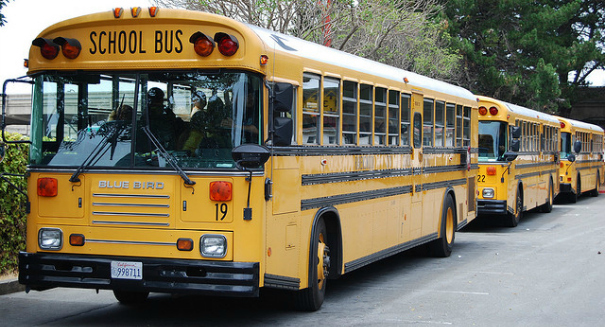 A special needs student was found dead in the back of the bus on Friday afternoon. Identified as 19-year-old Hun Joon Lee, a student who regularly took the bus to and from his home in Whittier, California to the Sierra Education Center. The trip takes 90 minutes. The bus driver went back to where he parked his vehicle with the other school buses. They found Lee unconscious and unresponsive in the aisle. Although there were neither signs of struggle or trauma on Lee’s body nor any weapons at the scene of the crime, police are treating his death as suspicious. “Nothing that we’ve learned so far would lead us to believe he had any medical conditions,” said Brad White, spokesman of the Whittier Police Department. The bus driver was questioned but ultimately released. No other suspects have so far been apprehended. “Our hearts are with our student’s parents and family — we’re all grieving. We’re making ourselves, our counseling services and our staff available to his family and to our students and staff who were close to him,” said Sandra Thorstenson, Whittier Union High School District Superintendent.